Oliver Ryan is a handsome and charismatic success story. He lives in the leafy suburbs with his wife, Alice, who illustrates his award-winning children’s books and gives him her unstinting devotion. Their life together is one of enviable privilege and ease – enviable until, one evening after supper, Oliver attacks Alice and puts her into a coma. This debut novel from Liz Nugent is a truly gripping and powerful story. From the very first page I was hooked – we have a main character, Oliver, who has admitted to hitting his wife Alice. In fact the second time he hit her, he put her in a coma. What on earth could she have done to receive such a savage beating? As the story progresses, we hear from former acquaintances and friends of both Oliver and Alice who have encountered them at various times of their lives. To outsiders they seemed to have a very good marriage. He was much admired and a successful author of children’s books, with Alice, his devoted wife, doing the illustrations. However Oliver’s childhood was not a happy one – can the events of his past be responsible for making him into the man he became? 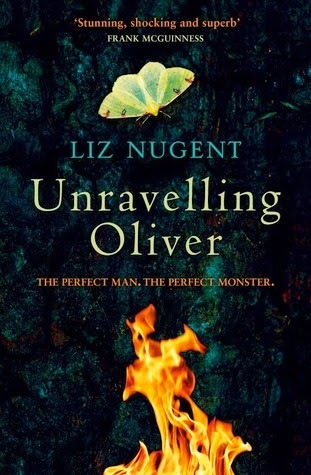 Oliver is a wonderfully unreliable narrator – he can be charismatic and charming but also arrogant, deceitful and manipulative and it is only through the accounts of others when they tell of the impact that he had on their lives that his true character is gradually revealed, with the revelations becoming more shocking as the story continues. This was an extremely addictive read and I couldn’t put it down. I both disliked and felt sorry for Oliver in equal measures. There were times when I felt I could almost forgive him because of his miserable background but then he would say or do something in his arrogant and disdainful way and my sympathy would vanish. Each chapter consists of someone recounting their memories of Oliver and this works very well to give a rounded view of past events – we hear from Barney, Alice’s first boyfriend, her mentally disabled brother Eugene, and several others, including Oliver himself. The writing is confident and the story flows seamlessly, always leaving you wanting to read on. The early years of the story are set against the background of 1970’s Ireland, with all the religious and social restrictions that prevailed at the time, for example, the stigma of being an unmarried mother. With each layer of Oliver’s life that is gradually revealed, we learn the secrets of his past and more about the man. Is Oliver really the monster he appears to be – you will have to read the book and decide for yourself! This is not a fast paced thriller but more of a thought provoking psychological study of human nature, and makes you think of the old question of nature over nurture. I loved it and can’t wait to see what Liz Nugent comes up with next! My thanks to Catherine and Patricia of Penguin Ireland for the digital copy to review. In her early career Liz Nugent worked as a stage manager in theatres in Ireland and toured internationally. 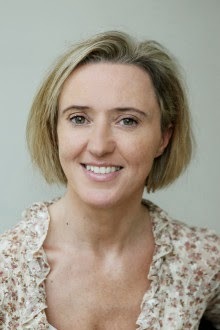 More recently, Liz has written extensively for radio and television drama. She has been shortlisted for the prestigious Francis McManus Short Story Award. She lives with her husband in her native Dublin. Unravelling Oliver is her first novel. Gripping and powerful? That's me interested. Isn't it wonderful when you read a book which has you hooked from page one. Great review, I'll be sure to make a note of this one. Thanks Tracy – its definitely one not to be missed! Thanks for commenting Lainy, my shelves gave up complaining years ago!